This spring semester follows a stunning array of IAP activities, which, in true MIT style, engaged the whole community. As the semester gets underway, we have many successes to celebrate, but also some serious issues to address. I begin with concerns raised by events on campus that have highlighted the importance of the open and free expression of ideas at MIT. This critical topic merits broad, ongoing discussion throughout our community, and I want to comment here on some of the core principles that guide the Institute in these matters. Free speech, reasoned discourse, and the open contest of ideas are the essential tools of our trade in education and research. The suppression of speech, whether overtly or more subtly, hinders learning and violates the core principles of scholarship. To advance scholarship and teaching we must tolerate speech that may, at times, be offensive to some. The best response to offensive speech is better speech, rather than a vain quest to define intolerable speech. The recent appearance at MIT of Yisroel Dovid Weiss, at the invitation of a student group, has tested this principle. The event precipitated a forceful debate, in which a few individuals objected to Rabbi Weiss’ having voiced his views at MIT. While some may question the wisdom of hosting individuals with controversial and potentially offensive views, we cannot retreat from our commitment to free expression. Unfortunately, we have also recently seen examples of behavior that violates the cardinal principles of free speech. During the days leading up to our annual celebration of the life and legacy of Dr. Martin Luther King, Jr., an exhibit in Lobby 10 exploring the meaning of Dr. King’s work was defaced. Such an action is equivalent to shouting down a speaker, and is manifestly unacceptable in our community. Our commitment to free expression and reasoned discourse carries with it profound responsibilities. Among these is the obligation to ground arguments and decisions on their merits. To command respect, a position must withstand examination of the evidence through deliberative reasoning; strategies of intimidation undermine reasoned discourse. We also bear the responsibility of acting and speaking with civility. Balanced discussions of difficult issues can become nearly impossible if those who speak up find their character attacked and their private conversations revealed in the media. Even in the heat of debate, we must strive to maintain a standard of civility that fosters further discussion. As members of an academic community committed to the pursuit of truth, we must both protect the rights and shoulder the responsibilities of free speech. Even as we tackle difficult issues, we continue to make progress on Institute initiatives. The Provost recently announced Deborah Fitzgerald’s appointment as the Kenan E. Sahin Dean of the School of Humanities, Arts, and Social Sciences, and that at the end of the academic year Marc Kastner will succeed Bob Silbey as Dean of the School of Science. In addition, during the last several weeks we have welcomed several new members of the senior administration: Vice President for Human Resources Alison Alden, Vice President and General Counsel Greg Morgan, and Executive Vice President and Treasurer Terry Stone. In addition, Jeff Newton will soon arrive to serve as our new Vice President for Resource Development. The members of the Academic Council today are extraordinarily talented and a more diverse group of leaders than ever in the Institute’s history. I know that the new arrivals will appreciate your help in introducing them to the activities and values that make MIT such an exciting place to live and work. Last month’s 33rd annual celebration of the life and legacy of Dr. Martin Luther King, Jr. offered the MIT community an opportunity to renew our commitment to the ideals of opportunity and equality for which Dr. King worked. In this spirit, the Provost recently announced a new initiative on minority faculty issues. The initiative will build on the work of the committees the Provost appointed last year to address minority faculty recruitment and retention. The initiative will assess what we have accomplished, will consider how race may still affect the recruitment, retention, and experiences of under-represented minority faculty members at MIT, and will recommend strategies to accelerate our progress. The Provost and I are deeply committed to this initiative as a stimulus for accelerating progress at the Institute and as a national example. As we move forward to increase opportunities within the faculty, we will continue to do the same for students and staff. The office of the Dean for Undergraduate Education has identified diversity as one of the six cross-cutting themes that will energize and structure its activities in the years ahead, while the Graduate Students Office has been actively developing new approaches to recruit an even more diverse graduate student population. Our Human Resources department has launched promising efforts to reach out to minority communities, and Alison Alden, our new Vice President for Human Resources, has made it clear that this will be a central issue for her. Our progress in each of these domains will amplify our success in the others. Over the course of this fall and winter, an enormous amount of effort has gone into developing budgets for the next fiscal year. I extend my thanks to everyone in the Schools, departments, and laboratories and centers who have worked diligently to implement the new budget design that will retain MIT’s endowment strength over the coming decade and that lays a strong foundation for MIT’s financial future. One of the major accomplishments of Sherwin Greenblatt’s tenure as Executive Vice President and Treasurer was to convene a working group to address the recommendations the Task Force on Medical Care for the MIT Community made in its October 2005 report. The working group has completed its study, and implementation has already begun, including increased clinical staffing in the Medical Department, improved mental health access and services, improvements in dental and wellness programs, and enhancements to the management systems and processes that support the provision of medical care. In the coming weeks, Terry Stone will present in more detail the steps taken to strengthen our medical services and benefits programs. Momentum continues to build in the Institute’s major research initiatives. Professors Ernie Moniz and Bob Armstrong, director and co-director of MITEI, the MIT Energy Initiative, will be working closely with the members of the new MIT Energy Council, which was appointed in November. The members of the new council are Professors Angela Belcher, John Deutch, Leon Glicksman, Rebecca Henderson, Paul Joskow, and Emanuel Sachs. Many faculty speakers have been spreading the word about our energy-related work outside MIT, including at this year’s World Economic Forum in Davos, Switzerland. The MITEI has engaged the enthusiasm of our students, as well as our faculty and staff, and a team of graduate students organized last weekend’s second annual MIT Energy Conference. The enormously successful gathering showcased many of MIT’s and the region’s energy innovations. MIT’s pioneering role in cancer research was recognized in November when the Virginia and D. K. Ludwig Fund for Cancer Research announced a gift of $20million to establish the Ludwig Center for Molecular Oncology, which will be located in and administered by the MIT Center for Cancer Research. The new Center’s inaugural director will be Professor Robert Weinberg, who has been a pioneer in cancer research. The Broad Institute announced last week the establishment of a new research center to advance the understanding and treatment of severe mental illnesses. Under the leadership of Ed Scolnick, and supported by a $100-million commitment from the Stanley Medical Research Institute, the Stanley Center for Psychiatric Research will marshal the power of genomics and chemical biology, as applied by researchers from MIT, Harvard and the Harvard affiliated hospitals, to advance the understanding of these complex and debilitating disorders. Undergraduate admissions is headed for another record-breaking year. MIT continues to attract many of the very best undergraduates in the nation, with applications for admissions rising more than 9% again this year, to a new record of more than 12,400. I hear praise for the thoughtful – and witty – work of our Admissions Office wherever I travel. 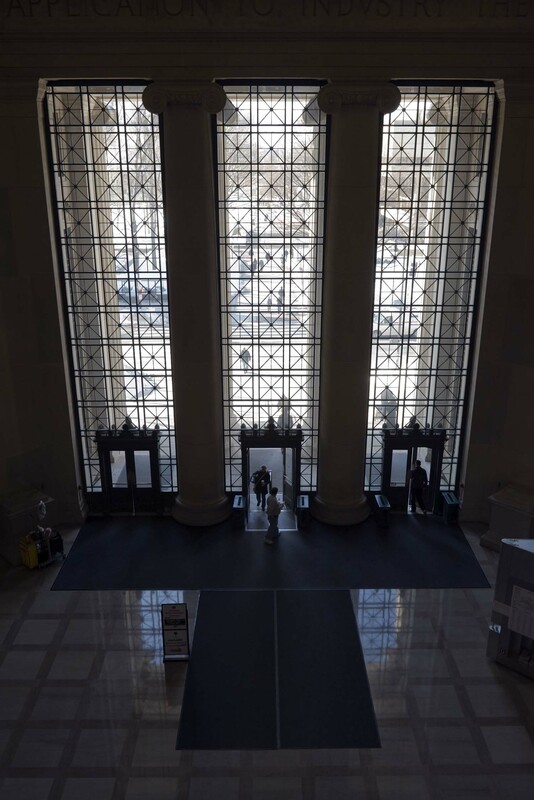 To ensure that an MIT undergraduate education is affordable to all of our admitted students without regard to their economic circumstances, we will further enhance our need-based financial aid. Beginning next year, we will guarantee funding for a paid research opportunity through the Institute's Undergraduate Research Opportunities Program (UROP) for all upperclassmen who receive financial aid. With the goal of increasing support for our undergraduate and graduate students, in December we launched the nucleus phase of a 5-year campaign timed to provide a lasting present to the Institute on our 150th birthday in 2011. The campaign will target funds to accelerate improvements in student life and learning, including an aggressive set of goals for undergraduate and graduate student financial aid. Fundraising results for the first half of this academic year have run well ahead of projections, thanks to the strong leadership of the Resource Development team by Steve Dare as Interim Vice President, and have encouraged us in our goal of doubling annual support in these areas over the next five years. We are enormously grateful to the alumni and friends whose support gives such powerful evidence of their devotion to MIT. At MIT, we know the important contributions that higher education and advanced research make to the economy and to human health and well-being. But we must continue our advocacy for federal support for research and education to meet the nation’s urgent needs. And we will continue to collaborate with colleagues in the academy, industry, and the public sector, both here and abroad, to promote the development of technologies and policies that will meet the growing demand for energy while protecting the environment. These are only two of the ways in which we can bring the benefits of the Institute’s work to the wider world. The spring semester is always a profoundly satisfying time, as projects long in planning take form, and new initiatives begin to bear fruit. Although the pace can seem breathless, I hope that the semester’s work will bring a deep sense of accomplishment.